The story of Jesus’ ascension into heaven is told every day here at Saint Mark’s. It is, in a sense, a story hiding in plain sight, for the great east window – some 18-20 feet high, I would estimate, right above the altar – is a depiction of the story recounted in the first chapter of the book of Acts. The inscription at the bottom of the window gives us the biblical citation. You see Jesus there, hovering above eleven disciples and Mary, his mother, a heavenly host of angels, cherubim, and seraphim escorting him as he rises into the heavens. Perhaps it is a nod to this ending of St. Mark’s gospel that the designer of the window above the altar chose to depict our Lord twice in the stained glass at this end of the building: not only in the scene of his ascension, but again in the uppermost portion of the window, seated in majesty at, we can assume, the right hand of God. Now here is where things get really interesting. If you look at the window carefully (which I admit it is not always easy to do, for your have several hanging lamps blocking a clear view) you might notice that in the image of Jesus ascending into heaven, when he is still in sight of his apostles on earth, only one of his feet is visible: his right foot. And if you can get close enough to see the upper image of Christ seated in majesty, again, only one of his feet is visible: this time his left foot. And although it makes me feel a little like Dan Brown to ask this question, I ask it anyway: is this just a coincidence? One foot not quite touching but still in plain sight of the apostles on earth, and the other foot planted firmly on the pavement of heaven’s courts? What interest, I wonder, did the builders of this church have in placing the image of a story just above the focal point of the entire building, the High Altar, that is not central (or, perhaps even original) to the gospel of our patron evangelist? Why the Ascension, 20 feet high, to look at day in and day out, as long as the sun will shine? And why these feet of Jesus: both present and accounted for, but one almost lingering on earth, the other in heaven? It’s the inscription that clued me in to what our forebears here were thinking. I suspect that they were not, in fact, preoccupied with the Ascension for it’s own sake. And although they were very happy to assert that, indeed, Jesus does reign in heaven at the right hand of God, this was not their chief concern either. Here’s what I think they cared about: This same Jesus shall so come in like manner as you have seen him go. The promise of the Ascension is not Christ’s departure, it is his return. This Jesus, his right foot hovering just inches above the altar, his disciples anchored to this earth with both feet, doesn’t just float off to the skies escorted by angels, he also returns – in like manner: cradled by cherubim and seraphim, angels and archangels, one foot fixed by his throne in heaven, but the other now reaching down to touch the earth. Remember the builders of this church were Victorians with all the wild imaginations that were the result of so much repression. I suspect that they regarded the High Altar as a kind of landing pad where Jesus made his return – not a single, ominous return at the end of all time, but a daily visitation, cloaked crudely but obviously in forms of bread and wine. This church was founded on the principle that Jesus desires to be in daily communion with his beloved disciples: you and me. Stone was stacked on stone here, and glass lavishly painted to mark out the bounds were a community of Christ’s people would gather to listen for the fluttering of angel-wings, the humming of cherubim and seraphim as they float or fly or freefall from their heavenly climes to this more humid environment, setting down silently and softly, but surely on the targets of a round, silver paten, and a jeweled chalice. 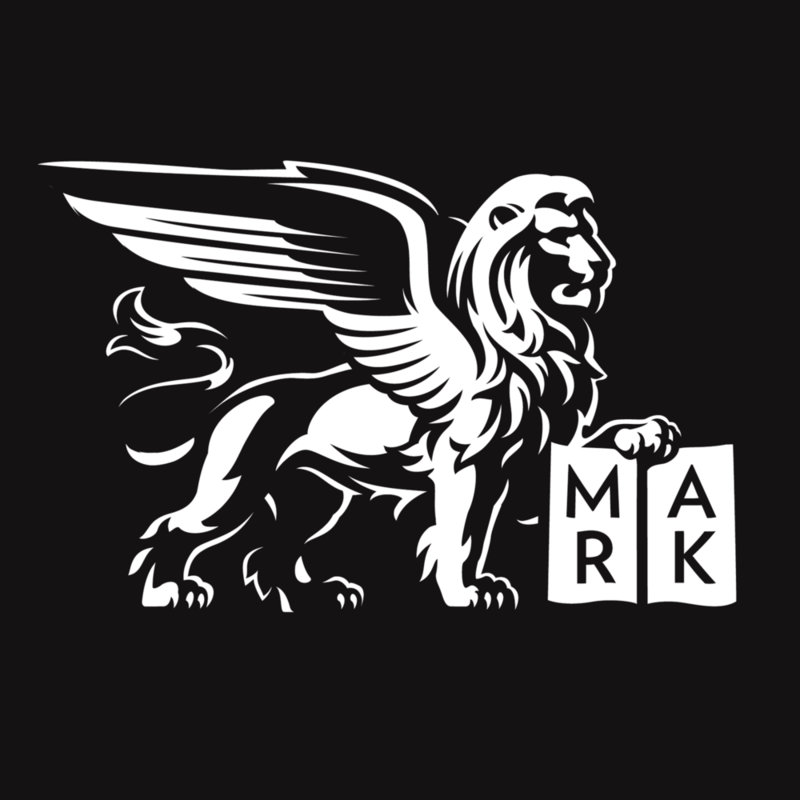 All of which is to say that Saint Mark’s has never, I think, been a community even the slightest bit interested in saying Goodbye to Jesus – which is what we so often tell ourselves this feast of the Ascension is about. This is a community that has been hopelessly infatuated with the idea of saying Hello to Jesus. And so this window, this constant telling of the story of the Ascension whenever the sun shines in this place, is a kind of embodiment of that mysterious Aramaic prayer of the earliest Christians: Maranatha: O Lord, come! Come, Lord Christ, right here. Come and touch the earth again by the side of your disciples, as once you did so long ago. Come in the same way as you left: with an entourage of angels. Come, although you are seated at the right hand of God; reach down with your toes – if only of one foot - and be among us. Teach us, help us, heal us, bring us your peace again. Come and be among us with your holy presence and show us the way, show us the truth, show us life again. For we so easily remember how you went away, we so easily put you out of sight that you are out of mind. We so easily commemorate your departure. And do we forget that you return in like manner as we saw you go? Have we ceased to believe that a retinue of angels could accompany you on your constant journey to be with us, to come to us, to make yourself known to us in bread and wine? Are we so ready to put the Paschal candle out that we forget that your light can never be extinguished? Come, Lord, Christ, right here, in like manner as we saw your go. Leave your footprint here – on that altar, in these aisles, and on our hearts… but leave just one, so we may follow the other, one day, to heaven, and to your side. In the Name of the One he was and is and is to come; the Alpha and the Omega, the Lord of Life, our Savior Jesus Christ, our Master, and our Friend. Amen. Posted on May 21, 2009 by Sean Mullen.